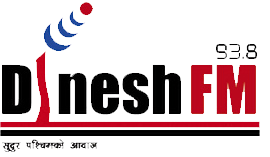 This FM has also been a perfect radio platform for advertising, publicity and promotion of the small and big business houses of Far Western Development Region. Hence our programmes are also designe to accumulate sach elements for the commercial benefits. Our programs our Scheduled to start early morning with a softness of morning raga, hot and happening news packages, afternoon is decorated with mostly the educative and informative programmes, evening schedule of programmes rocks Far West with a high amplitude of entertaining numbers and finally night brings flavour of literature, poetry and creativity.